Critics of the historical accuracy of the Bible often find what they believe are contradictions among the writers of the gospel accounts because there are differences. Remember however, that a difference is not necessarily a contradiction. 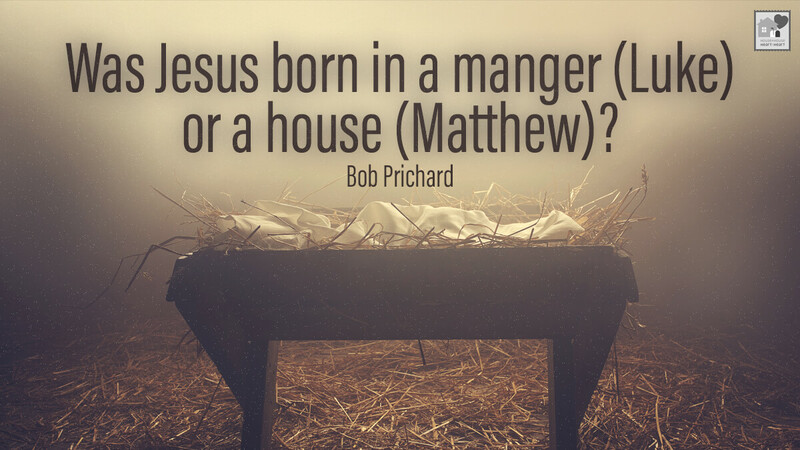 The differing accounts of Matthew and Luke concerning the Christ child are a good case in point. Luke describes the birth of Christ: Joseph also went up from Galilee unto Bethlehem to be taxed with Mary his espoused wife, being great with child. And so it was, that, while they were there, the days were accomplished that she should be delivered. And she brought forth her firstborn son, and wrapped him in swaddling clothes, and laid him in a manger because there was no room for them in the inn (Luke 2:4-7). Matthew described the arrival of the wise men from the East: When they saw the star, they rejoiced with exceeding great joy. And when they were come into the house, they saw the young child with Mary his mother, and fell down, and worshipped him: and when they had opened their treasures, they presented unto him gifts; gold, and frankincense, and myrrh (Matthew 2:10-11). Mark and John do not discuss the birth of Christ. They surely knew the details, but chose to write about other things. The apparent contradiction between Luke and Matthew comes about from the preconceptions of the readers. One of those Bible facts that everyone seems to know is that the wise men came on the night that Jesus was born. In fact, the differences between the accounts of Matthew and Luke indicate that it is highly unlikely that the wise men came on the night Christ was born, because Mathew’s account indicates that Joseph, being a good husband and father, had arranged for his family to move from the stable into a house by the time the wise men arrived. While this might have happened the night Christ was born, more than likely they were not able to move into the house for a few days, if not weeks after the birth of Christ. The fact is, Matthew does not give any details of any particular place where Christ was born, except that it was in Bethlehem, in fulfillment of the prophecy of Micah 5:2. “For thus it is written by the prophet, and thou Bethlehem, in the land of Juda, art not the least among the princes of Juda: for out of thee shall come a Governor, that shall rule my people Israel” (Matthew 2:5-6).